JA Europe is Europe’s largest provider of education programmes for entrepreneurship, work readiness and financial literacy, reaching 3.5 million students in 40 countries in 2016. It was founded in 2001 when Young Enterprise Europe and Junior Achievement International Europe merged. JA works with the education and business communities as well as governments to provide young people from primary school to university with experiences that build the skills and competences they will need to succeed in a global economy. JA’s activities have been endorsed as best practice by the European Commission. 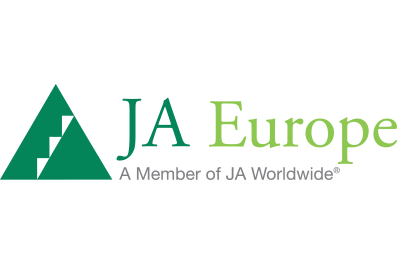 JA Europe is the European Regional Operating Centre for JA Worldwide®. Follow us on Twitter, Facebook, or LinkedIn! ExxonMobil, the largest publicly traded international oil and gas company, uses technology and innovation to help meet the world’s growing energy needs. ExxonMobil holds an industry-leading inventory of resources and is one of the world’s largest integrated refiners, marketers of petroleum products and chemical manufacturers. For more information, visit www.exxonmobil.com or follow us on Twitter www.twitter.com/ExxonMobil_EU and www.twitter.com/exxonmobil.